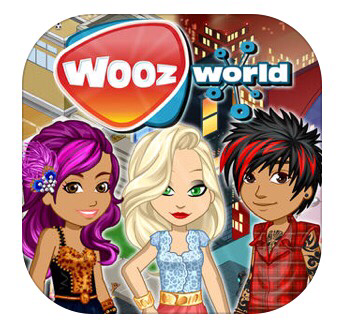 Woozworld is an app designed by the company with the same name ‘Woozworld’. Originally called kids studio 2.0 and based out of Montreal, Quebec, this app received several awards in 2011 and 2012 for most innovative technology company. As for safety, Woozworld does state they have In game moderators that constantly monitor behavior of players and states the following. ‘Members who engage in any behavior that breaks guidelines set by Woozworld faces punishment by moderators, ranging from temporary suspension to being permanently banned from the virtual social network. Woozworld also sets a fun but a helpful learning education about safety online’. It sounds as if Woozworld has done its homework on how to sound as safe as possible, let’s hope all this is true. This app and website is described as an app for fashionistas. It states you can create your own avatar and join millions in a virtual world personalizing your characters story and personalize your avatar with new outfits every week. Woozworld is available for free on both App Store and Google Play store (IOS and Android users). From reading the reviews and viewing website, this social media game is also available to play online through your computers browser, not just the app alone. The app like many others, let’s you download for free then requires money to purchase in game items to upgrade your characters look, buy more rooms for decorating and also allows you to purchase furniture for those additional rooms. They recommended age of app to be 4+. On download of app, it was over 100 megabytes so it requires you to wait until a wifi connection is available to download. Once downloaded, the setup process was very quick and easy. Unlike a lot of apps that are similar to this style, it did not require me to login with a username or didn’t require an account setup. Once downloaded, I was able to jump right into creating my avatar. An Avatar basically means you create a character. You select the basics in a menu. This being, male or female, hairstyle, body build and then onto clothes. After I created the look of my character, I was dumped straight into the game. Once inside of game, it asked me if I wanted a tutorial. I of course selected yes to get the basic idea of game and how to play. 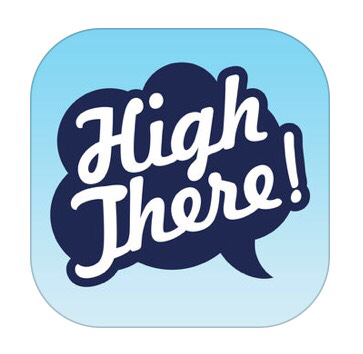 The concept of this app is similar to a Sim style video game. You get to create and select your own room. You setup your furniture and start to be able to build your own virtual world. As I looked around room during tutorial, it showed me how to move furniture and encouraged me to purchase more furniture from the in game store. The in game store is where they make there money. They also let you watch advertisements of company’s to earn in game money without spending real money. You can also spend real money in real life to get more ‘Beex’. Beex is what Woozworld calls its in game money. You can earn Beex as well without spending real life money by completing quests inside the game. These quests basically allow you to do various small things in game for rewards. You can also join the V.I.P status by joining to pay monthly fee of 5.99 (or a couple other packages) to earn special clothing, furniture and other rewards. This app reminded me of a Sims style game because of how you build the world around you. You can also buy more rooms in game to have multiple rooms to place more furniture and customize each room. This game does however have social ties. As I was playing the game to get familiar with the controls and to investigate if it was appropriate for children, I was able to figure out the first step of getting social. Remember how I said that you jumped straight into the game without registering an email and there was basically no setup needed, well I figured out why. When you setup, it gives your character a name of 128473682. Which I thought was an odd name. Just a random generated number. You are able to change this In game however but that requires you to setup an in game account with an email address and password for a login account. After you setup account, you are able to select your own name and save it. I did this and created my own name which the game told me could not be changed. During my research, I setup account with own name pretty easy. It did not require any money for setup or to change my name from a generic number to an actual name. It did warn me that my name could not be changed after this initial setup. Now that my name was setup, it loaded all the menus that allowed me to select different areas. I noticed there was now a social icon and also a way to travel to other lobbies to meet other people. The lobbies were public and once inside them, I could see other peoples characters and could interact with them. While I walked around these lobbies and tried to interact with others, I did not get any inappropriate messages or requests. I wanted to see if these people that I could see inside the public lobbies tried to chat with my character. While playing this game in the lobby for about 30 minutes, I never received a inappropriate messages from anyone, but it is very easy to chat with others. All you do is walk up in front of their character and click the chat icon. 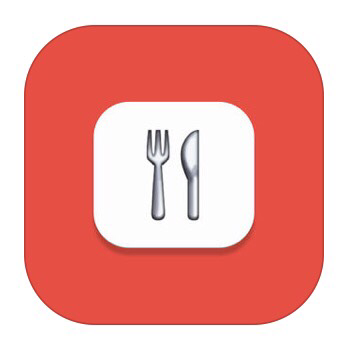 This icon has basic features such as add friend, chat and block. I am assuming this block feature is for people who try to chat in appropriately with others. I was able to interact with one person who told me not to curse because it would get me banned. I guess he had recently came off a ban where he said that he had made a new account due to being suspended for language. The ease of the chat feature was kind of scary for me but this game is designed to be social media gaming app. After chatting with this character for a minute, he sent me a friend request. Which I accepted to see what that meant. Basically it added his name to my friends list that allowed me to see when he was online and send messages to. It also allowed me to delete or block friend if needed. I feel like the app could have been a little more safety contentious and should allow parents to moderate chat to turn it on or off and to create filters, but it does not. So the social side to the game is wide open for chatting privately with others. You can tell this game has been around a while and has a large following with a lot of players. In every room I selected to go into, there were at least 5-10 other characters I could see that were playing at the same time I was. After walking around and completing my tasks to earn more Beex, I didn’t see any in inappropriate names or text being displayed. The potential obviously is there, but I did not see anything during my review. I gave this app a threat level of moderate. The reason being is the ease of the chat feature. If you’re going to allow your child to play the game, I recommend telling them to chat with their confirmed friends of who they know in real life versus chatting with strangers. You can monitor this by checking their friends list to make sure they are playing with or chatting with people they know. The game doesn’t require you to chat or become friends with others but it does encourage meeting new players like yourself. So just remember to monitor those chat seasons and openly communicate the importance of not chatting with strangers. I do feel the 4+ age group recommendation seems a little young. This seems more of a early teens app with a lot of reading and problem solving inside the quests. This game seems pretty innocent, but with the chat option available just monitor to make sure no one is trying to inappropriately trying to communicate with your child. As for the clothing and furniture you buy inside game with in game Beex money, I did not see anything inappropriate for purchase. As with any app that has a social chatting feature, communicate with your children about the dangers of chatting with strangers. I can see where this app could be fun for kids to build their character and decorate inside their virtual home, but make sure they understand that they don’t know who is on the other side of keyboard when playing with others.